Can’t tell from this pic that it took me 1 minute to apply a moisturizer, primer, foundation and sunblock? Well read on Sista! Here I am, in all of my BB Cream glory. Have you ever heard of BB Cream? 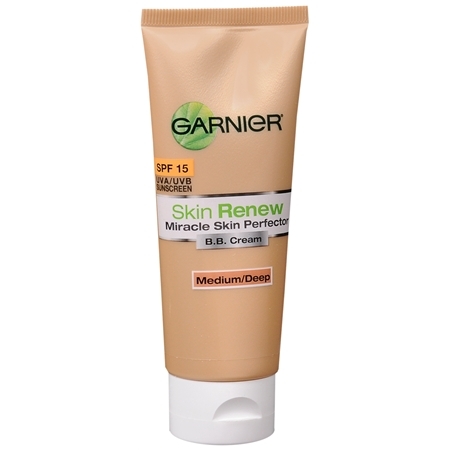 Personally, I hadn’t until I saw Garnier’s new BB Cream being advertised. As you may have seen me tweet a few months back, I was curious as to what this was exactly. I was also wondering what the “BB” part stood for, so I did a little research. Turns out this is basically a “beauty balm” or “blemish base” for your face, and was originally created to protect the skin after laser treatments while still providing light coverage. These creams are already popular in Asia, but are becoming more widespread because of it’s multi-tasking magic. Basically it’s a hybrid of moisturizer, primer, foundation, AND sunblock in one! To be honest, I completely forgot about it until I found a sample today for Garnier’s B.B. Cream in one of my magazines. Skin complexion was much more even after use. Seemed to brighten up my face a bit. I LOVE that it’s a hybrid of 4 different products, which saves me time and money! It gave me a light, airbrush effect. I liked the finished texture on my face. It felt soft, smooth, and the rest of my makeup went on top of it flawlessly. Pretty decent on matching my skin color, although I did have to apply a little bronzer to give my face more color. GREAT price for what it does! The light reflectors in the formula brightens your complexion, so if you have oily spots and don’t use a finishing powder on them (like in my picture), then you may appear shiny in those spots. The cream was a little thicker then I anticipated, so it gave me more coverage than a tinted moisturizer. I guess this could actually be a “pro,” it just wasn’t what I was expecting! I didn’t apply moisturizer beforehand because this is supposed to moisturize. So I eliminated that step but found that my dry patches were a little noticeable when mixed with the cream. I’d suggest still putting a little moisturizer on those areas, or going lighter there on the cream. In terms of application, I’d suggest still applying it like you would foundation because this is a bit thicker than a tinted moisturizer. Just try to stay even and blend. I really do like the ease of this cream and loved it even more when I looked up the price. You can get Garnier B.B. Cream for only $12.99! Yes, there’s other more expensive brands of BB Cream, but I thought this was a great price for the all-in-one formula. 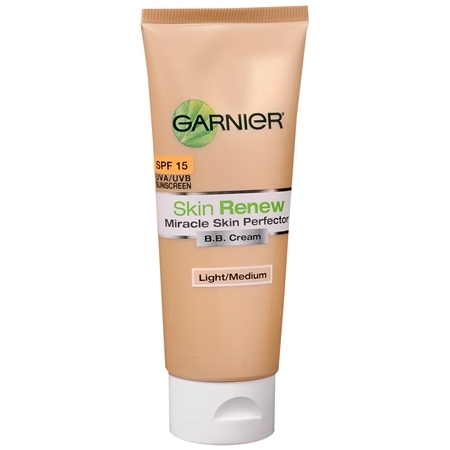 Have you tried BB Cream before or are you planning to?